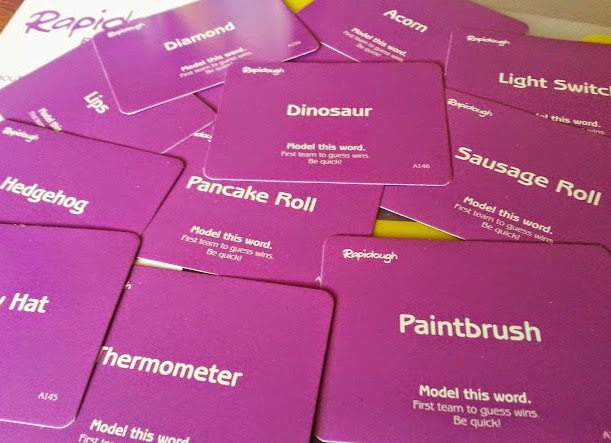 Our latest family game to review from Drumond Park has proven to be one of the most popular. 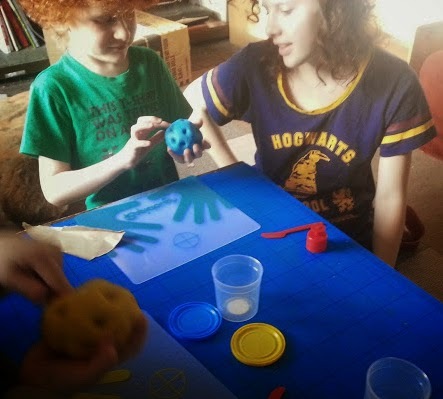 Rapidough is great fun and fantastic to play with different generations at the same time. Recommended for children aged 8+ and 4 or more players, our 6 1/2 year old can just about hold his own and join in on a level. 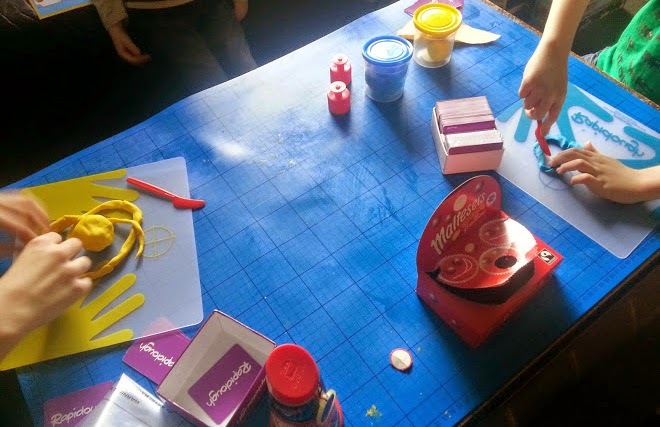 Inside the box we have modelling dough and tools, plus plungers and plastic wipe clean mats, as well as a huge number of game cards. Game play is super simple to learn, there are no tricky rules to remember - players split into 2 teams and choose a 'modeller'. The 2 modellers take a card from the box without showing it to anyone else, and then they have to create the item shown using the dough. The team who guess the item correctly first win that round, and are allowed to take a plug of dough from the losing side. Gameplay gets more tricky as you have less dough, and the models get smaller, so it's harder for the other team to guess by looking at your model and it all gets more competitive and fast. 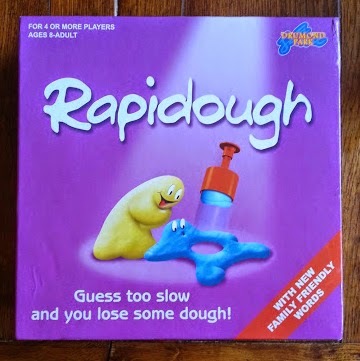 Using the plunger to remove some of the other player's dough really is what makes the game very different, and when one team don't have any dough left, they lose. You can adapt the rules to make things easier or trickier - you can allow your modellers to animate or use sound effects, or place their model in an appropriate place (on your body, mantlepiece etc), there's lots of scope for being gentler on younger players who are playing with more experienced players. As a player from each side looks at each card, it can be fairly decided to pass on that one if a player isn't sure what it is, or they're just both hoping to pick an easier model! We love this game, it's great fun. It has masses of scope for creativity and ingenuity. Even though both modellers are making the same item at the same time, the models are very often completely different! My 6 year old can pay alongside his teenage siblings, and there are plenty of laughs - mainly at the expense of very poor models that can't even be worked out once the card has been revealed! 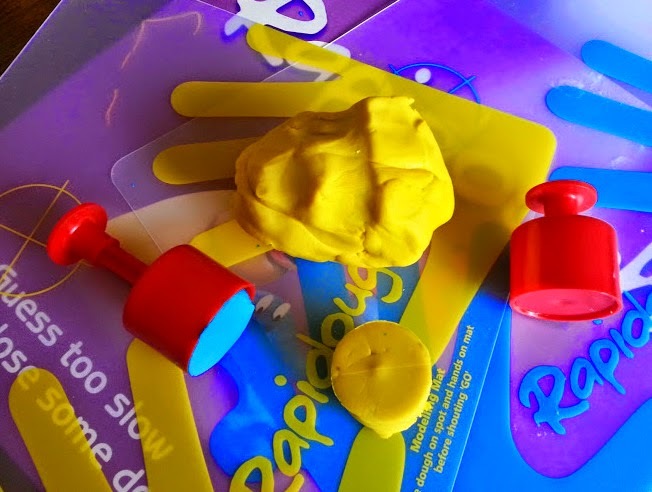 Rapidough is made by Drumond Park, and has a recommended retail price of £29.99. Available from all good games retailers. We've reviewed a lot of games for Drumond Park and they can be found listed on my Toy Reviews page. 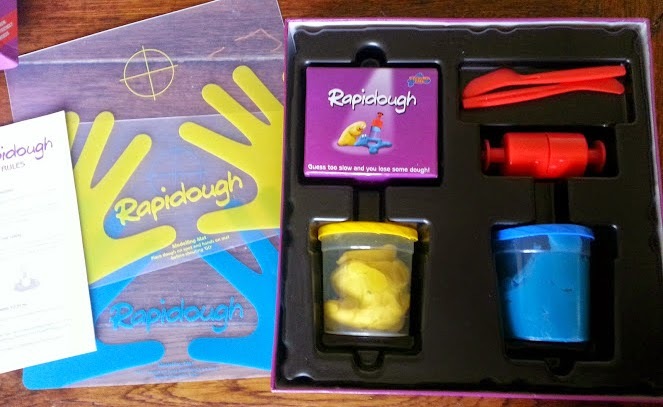 I am running a great giveaway where you can win your own bundle of Drumond Park family games including Rapidough, it can be found on my giveaways page.